Hyvää huomenta. Eilen illalla tein tällaisen kortin. Koristeet wild orchid crafts, Väritys distress ink. Luonnos MDUC. Good morning. Last night, I made this card. Decorations wild orchid crafts, coloring with distress ink. Sketc MDUC. 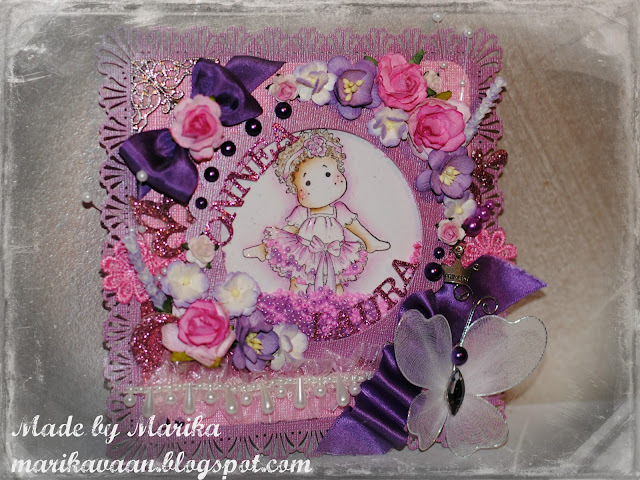 Another gorgeous creation - love all the sparkles and flowers. So pretty, love the rich purples and pink and I love shaker cards, thanks for joining our sketch this week at MDUC, good luck! Thanks for playing at WOC this fortnight.